Is it a coincidence that the titular character of popular 80's/90's BBC comedy-drama 'Lovejoy' looks identical to Blackbeard? How could this be? 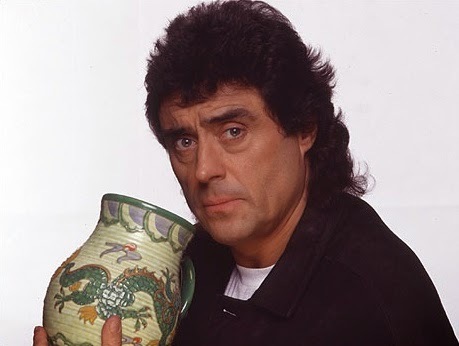 Actor Ian McShane portrays both characters, however Lovejoy is set in the 1980's/90's and so he should look far, far older than his role in the 18th century - instead, he is clearly younger. This is proof of the power of the Fountain of Youth. The title sequence to Lovejoy offers a tantalising clue, as one of the first images we see is that of a pirate's flintlock pistol being fired followed quickly by pirate's gold, an indication as to Lovejoy's true identity. Lovejoy himself is a rogue, like Blackbeard. He is a criminal antiques dealer, and what better occupation for a man that has lived for centuries than dealing with antiques - as an immortal, Blackbeard would have first-hand knowledge of antiques, and potentially has stashed away his own stock for later resale. Lovejoy is also said to have supernatural powers, able to instantly tell if an antique is fake or not. Blackbeard is seen to have dabbled in the supernatural, with voodoo and other forbidden arts. It seems that even after all this time he has not given up on his witchcraft! Whilst Lovejoy doesn't flip out and murder anyone with a cutlass, it is probable that he is hiding this seething evil rage underneath his charming exterior. 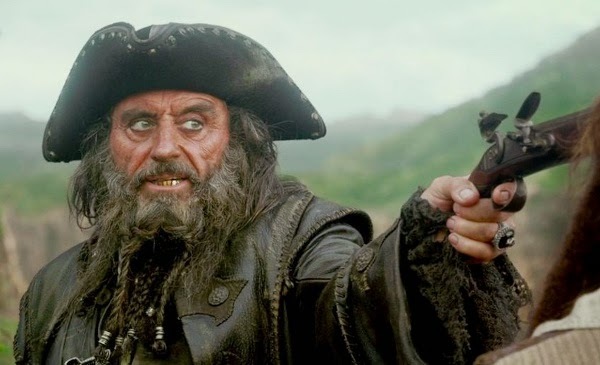 Make no mistakes - it is very likely that Blackbeard still lives, only he has exchanged one form of piracy (brutal murder at seas) to another equally vile (dealing in dodgy antiques).